The “abandonment” of Mesa Verde and the formation of the Rio Grande Pueblos represent two classic events in North American prehistory. Yet, despite a century of research, no consensus has been reached on precisely how, or even if, these two events were related. 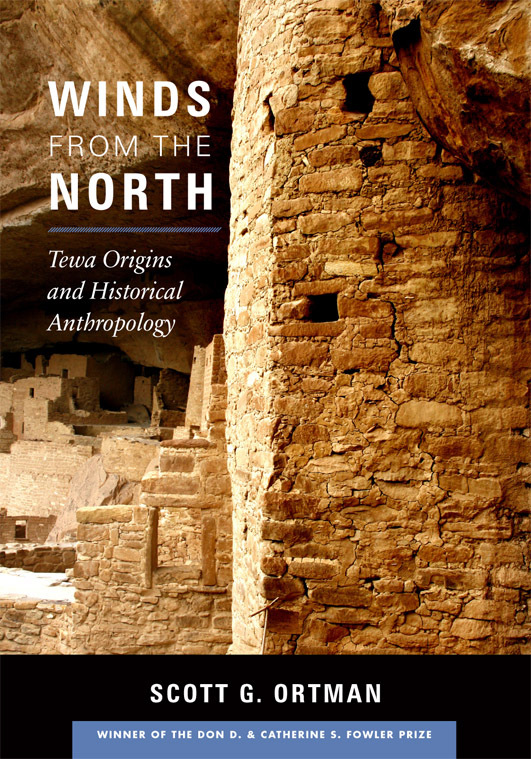 In this landmark study, Scott Ortman proposes a novel and compelling solution to this problem through an investigation of the genetic, linguistic, and cultural heritage of the Tewa Pueblo people of New Mexico. Integrating data and methods from human biology, linguistics, archaeology, and cultural anthropology, Ortman shows that a striking social transformation took place as Mesa Verde people moved to the Rio Grande, such that the resulting ancestral Tewa culture was a unique hybrid of ideas and practices from various sources. While addressing several long-standing questions in American archaeology, Winds from the North also serves as a methodological guidebook, including new approaches to integrating archaeology and language based on cognitive science research. As such, it will be of interest to researchers throughout the social and human sciences. Scott G. Ortman is an Omidyar Fellow at the Santa Fe Institute and the Lightfoot Fellow at the Crow Canyon Archaeological Center.